Asia House is delighted to present the photographic journey L’Oriente de Pasolini by Italian photographer Roberto Villa on Tuesday 14 May at 18.45. The talk will showcase a fantastic and unique opportunity to see the life and heritage of people in Eritrea, Ethiopia, Nepal, India, Iran, and Yemen – most of which legacy has now been destroyed by wars and political unrest. 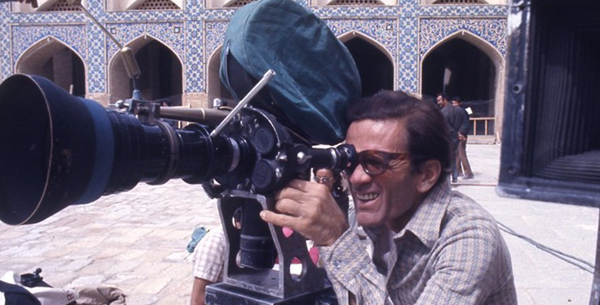 These photographs by Roberto Villa on the set of Arabian Nights (Il fiore delle mille e una notte) in 1973, documented the director’s work in the Middle East. Villa’s images not only capture some moments in the making of the film but also the faces of the locals, as well as the mystical locations where the poet/director set his version of the Arabic folk tale. For more information and to book tickets, go to their eventbrite page.